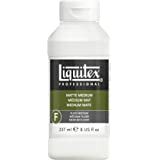 Amazon's Choice for "liquitex acrylic paint"
Ships from and sold by Buyers Mart Corp.
Sold by Sorillo Brands and ships from Amazon Fulfillment. 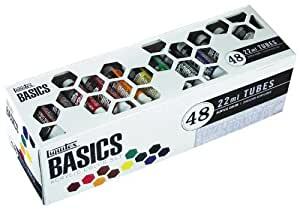 Liquitex basics acrylic paint set - 22ml tubes - 48 pieces. 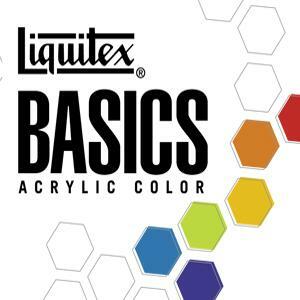 Liquitex BASICS Acrylic Paint is developed for students and artists that need quality at outstanding value. Each color is uniquely formulated to bring out the maximum brilliance and clarity of the individual pigment. 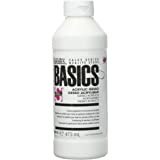 Basics Acrylic Paint is a heavy body acrylic with a 'buttery' consistency for easy blending. It contains permanent artist pigments and it retains peaks and brush strokes. 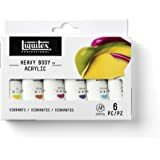 It is ideal for learning color theory and color mixing and is intermixable with all Liquitex Professional Acrylic Colors and Mediums. All colors hold the AP Seal from ACMI and are safe for educational use. For use on canvas or panel and allows for easy blending. Ideal for color theory and mixing. Thick applications with brush strokes and knife marks. 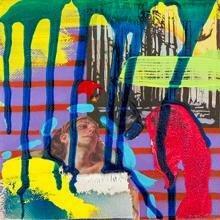 Incorporate into a variety of collage and mixed media applications along with experimental painting. 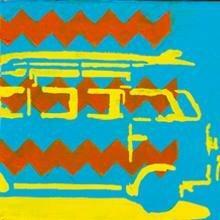 Ideal for Screen Printing, Mono Prints and Block Prints. This is a good variety set if you don't want to mix colors yourself, but I deducted some stars because one paint tube was completely empty. 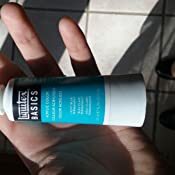 The tubes themselves are pretty small (22ml / 0.74oz), so I would recommend these as a supplement to white and the primaries. 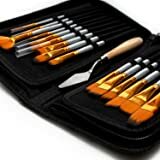 As a brand new painter, I purchased the 48 piece set. With more experience, I should be able to mix more of my own colors but didn't want to frustrate myself right off the bat. I've tried about 12 colors so far and am satisfied. The burnt sienna is a bit thick, but it's very usable. 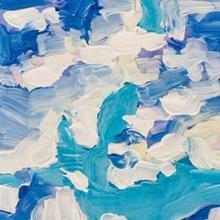 I would strongly suggest to a new painter purchasing this set to also purchase a large tube of titanium white. I have done 3-4 paintings so far and am out of white already. Titanium white is used to dilute other colors quite often and will run out very quickly, so do yourself a favor and order an additional tube of that color along with this set. 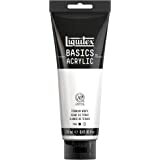 Additionally, I would suggest purchasing a bottle of white Liquitex Basics Gesso or a similar product. Initially, I found that my canvas was soaking up a lot of paint and discovered that gesso is a product used as a canvas primer. 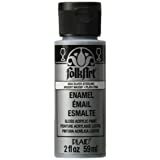 It is inexpensive and greatly reduced the amount of paint I needed to use to get good paint coverage. 5.0 out of 5 starsLOVE THEM ! I love these paints so so so much !!! They are smooth and mix very well. I am pleased, definitely will be purchasing more. I am a beginner to the acrylic painting. After reading reviews about different products I finally decided to purchase this one. I just received this product today. So, I have not got a chance to test this one. 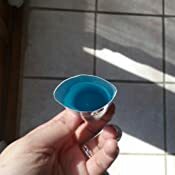 I am attaching a couple of pictures of the product. I have attached the close view of all the 12 pieces that I received. I will update this review as I start using the product. Update: I have used this for last few days. I am loving it. I have also purchased Liquitex heavy body cadmium red and golden titanium white. I have attached couple of pics of the artwork by me and my daughter. I've been painting with oils for around a decade, but wanted to try out acrylics in hopes of a more convenient/time-efficient substitute to the slow drying time of oil painting. I ended up buying this set, under the misleading impression from others that this was a professional rather than a student-grade paint set. BOY did I regret falling for the cheap price/color selection. 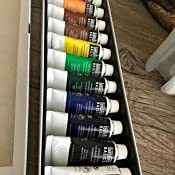 Although this paint set contains more colors than I even need to mix my colors with, I was attracted by the convenience of not having to buy additional individual paint tubes (since other acrylic sets would miss one of my favorite colors, such as umber, sienna, or yellow ochre). I suppose these paints might be good as an introductory set, but since I had already developed an opaque painting style from my years of oil painting, these paints were a complete letdown and unsuitable for my purpose. Translucent rather than opaque, I couldn't really use these paints efficiently to block or cover over underlying layers whenever I changed direction throughout the painting process. I even ended up resorting to a generic no-brand craft paint for titanium white instead of using the white that comes with this set, since the craft paint was still more solid than the sappy and plastic consistency of these paints. I also found the pigmentation sub-par-- it would take many layers of these paints to build up enough brightness in the colors to bring any life to skin tones, even when using copious reds for warm and rosy pigmentation. 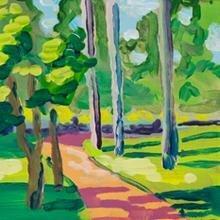 You can't just mix the color you want efficiently in one go and apply it immediately to the painting. The end result was that paintings were likely to end up muddy and unappealing when using these paints. 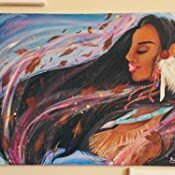 I ended up not being able to see any justifiable reason to try acrylics again, when my oils were in every way superior in paint coverage and pigmentation. I bought this paint set in 2016. It has taken me until 2019 to try acrylics again, this time picking up an actual professional-grade heavy-body acrylic set. I've finally managed to be able to appreciate being able to paint opaquely in synergy with acrylic's fast drying time, so I'm now able to block over underlying layers, correct mistakes, and rework the composition or colors in my painting faster than ever. 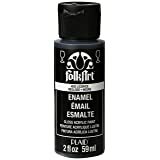 I've finally now managed to figure out that the problem wasn't acrylics in general, it was with this paint set. 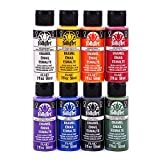 SUMMARY: If you're transitioning from oil paints to acrylic, or if you use a more opaque painting style, save yourself the disappointment and don't buy this set. 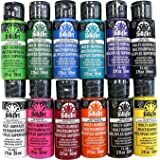 Invest in a professional heavy-body acrylic set like Golden instead, even if it might be more expensive, or require you to buy missing color paint tubes on an individual basis. These acrylic paints are translucent, sappy, plastic, and dull in pigmentation. Look, paint is expensive. If you want to have a collection of the prime colors in your collection, it can really add up and put a huge dent in your wallet. This set has an absolute ton of shades and while the tubes aren't huge, if you are working on smaller type projects, like I am, the set will last ages. 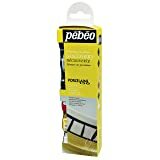 The paints are a great quality and they go on smooth, and look nice and rich. For the price, you really can't do better. Update 1/10/16. Still love these paints! 1.0 out of 5 starsBasics made in China, Professional grade made in France. In the 90's this paint was made in the US. I recently got back into painting and bought a few tubes of Professional which came from France. I went on to buy the 48 Basic Sample pack and found they are made in none other then China. Why?? Seems because the Basics are a lower pigment paint, Liquitex produces the cheap stuff in China. I rather buy from another company next time.